Shopping for your wedding gown is unlike shopping for any other garment. For some, it can be hard to find the right dress, for others, they try on one gown, and it’s ‘the one’. Because we know the struggles and challenges brides experience during wedding gown shopping, we wanted to give you our biggest tips for you when it’s time to go wedding gown shopping. The best way to remain relaxed during wedding gown shopping is by not feeling rushed. Try to book your bridal shopping appointment on a day you are off work and have a few hours to shop and celebrate your purchase. The best way to celebrate the purchase of your wedding gown is to grab brunch or dinner after your appointment! Click here to read about more ideas on celebrating finding your wedding gown. Only bring a few people shopping with you. This is our biggest and most important tip for you. We reserve the entire store so you and your crew can have the most intimate and custom shopping experience possible. The idea of having a large group sounds like it would make your appointment more fun, but, it can also be counter productive to finding your wedding gown. More people means more opinions. Consider what type of shopper you are. If you do not like or need opinions, consider bringing only a couple of friends of family (up to 3) to your appointment. 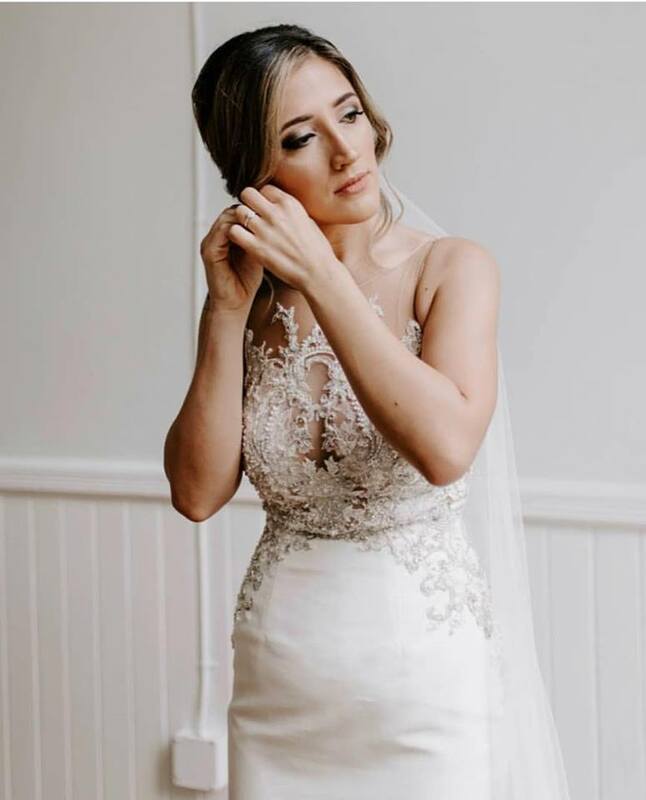 If you have purchased your gown and want a larger group to see your gown, like your bridal party, contact your bridal stylist and she’ll be able to book you a dress reveal appointment. This appointment allows you to showcase and celebrate your gown, without having opinions on which gown you should purchase. Wedding dress sizes are different. Wedding dresses are not sized the same as normal dresses or clothing. Wedding gowns are sized and measured with traditional European sizing so wedding gowns are often described as ‘smaller sizing’. Don’t discouraged and upset by tag may say size 12 or 14, if you are a size 8. Get ready to change, a lot. Wear something that is easy to put on and off and doesn’t wrinkle easily. In the summer months, a jumpsuit, romper, or sundresses and in the winter months, light, stretchy, and comfortable clothing are our best recommendations. Also, wear comfortable shoes. We have a pedestal you can stand on to give you height without having to wear heels. Shopping for your gown can take up to two hours, so be sure to dress comfortable! Consider putting on makeup and doing your hair. If you’re anything like me, having your hair clean & styled and having a little bit of makeup on, helps you have a better idea of what you will look like on your wedding day. 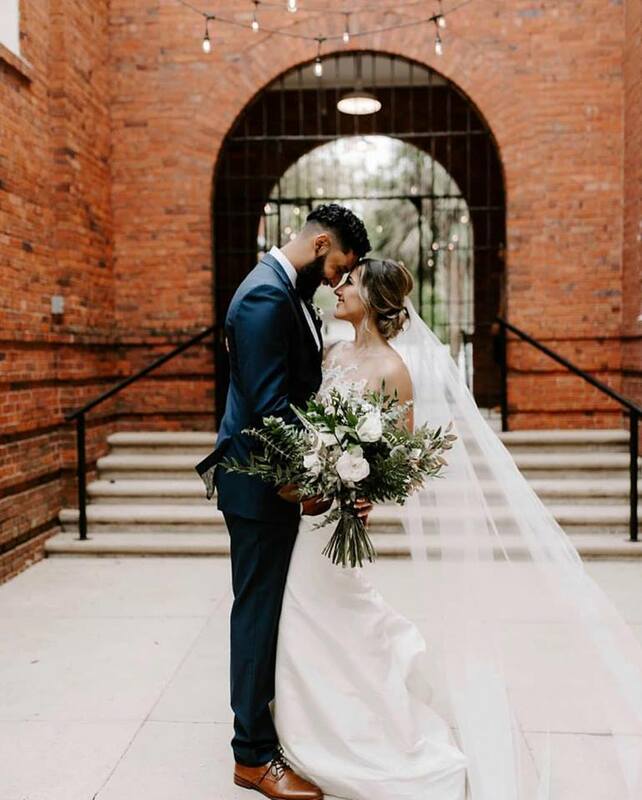 Even if you aren’t sure of how exactly you’ll want your hair and makeup professionally done on your wedding day, mascara, blush, lip gloss, and a curling iron can help you get a better idea of yourself dressed up.